Fancy machinery and irrigation systems that pull millions of gallons per day from the nation’s largest aquifer have transformed the High Plains. But at what cost? 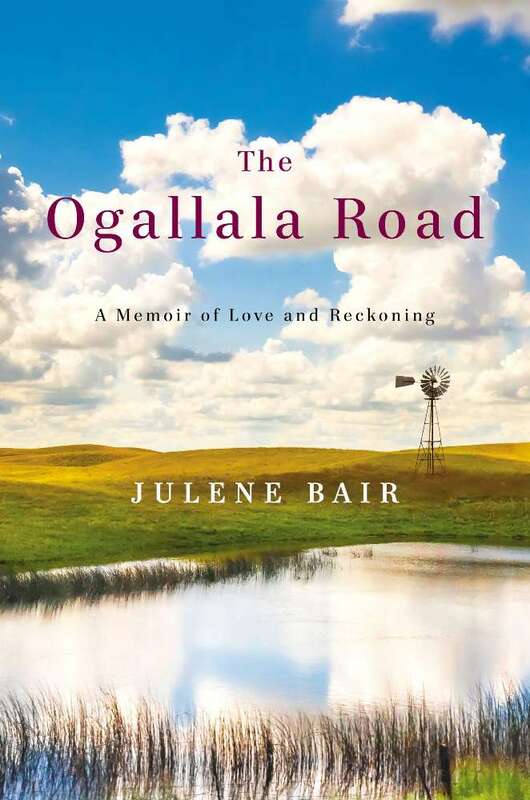 Circle of Blue’s Brett Walton spoke with Julene Bair, author of The Ogallala Road, a memoir of a life shaped by land and water. Farmers in the High Plains annually pump more water from the Ogallala Aquifer, the nation’s largest groundwater source, than flows in the Colorado River. Learning this fact stunned Julene Bair, whose family owned a farmstead in Sherman County, Kansas and grew wheat using water from the Ogallala. Circle of Blue: You begin the book with a search for a spring that you hope had not dried up. Springs probably not being the first thing people think of when they think of western Kansas, I’m wondering why you start with that image and what it symbolizes for you. 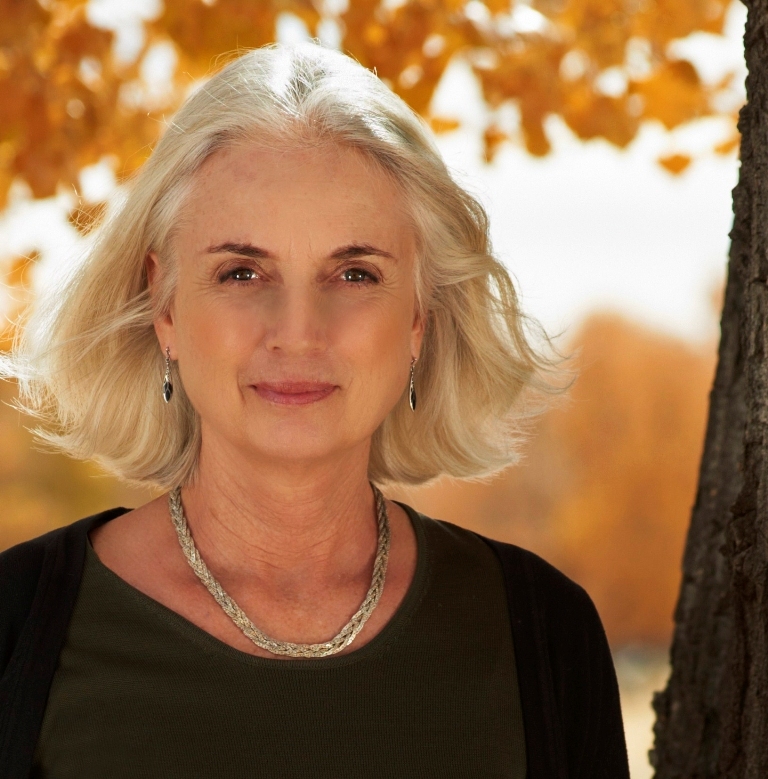 Julene Bair, author of The Ogallala Road. Click image to enlarge. Julene Bair: I’m pretty water obsessed. My experiences living elsewhere, in California most notably, made me into this lake swimmer, this person who just loves fresh bodies of water. That’s a long history of mine. For decades now I’ve been exploring, looking for water, so it was only natural to do it back home, and it was very important to do it there because I had a direct relationship with the water under that ground. I grew up drinking Ogallala water, out of the windmill, and I had since become concerned because we had become irrigation farmers and I was aware from my reading that we were drying up the spring-fed creeks and rivers. I wanted to see what was still there. When I was a child I really wasn’t that aware of what was there – a very provincial childhood. I knew my own backyard basically and that was it. So going out and exploring in my own home turf was exciting to me but it was also scary because I was afraid I wouldn’t find any of the water that I’d read about. I’d read about water that the Cheyenne Indians, prior to our possession of the plains, had sundanced at, which would mean there’d be 4,000 Indians and 20,000 horses watering. This would have to be a significant amount of water to sustain that number of people and animals. And the bison had watered there. I wanted to see if that water still existed. So I went out looking for it, and I did manage to find one little spring – there were several actually later on as I did more searching – but that particular day I did find a little spring and that was exciting to me. Loss and renewal are major themes in the book, and they also seem like major themes of plains history and culture too, right? Julene Bair: Renewal as a theme in the book? Well, what’s renewable versus what’s not. Renewal on a personal level would be, I suppose, trying to find a way to be back in that landscape and live there and have a sense of community and also feel like I was doing right by the land. That’s what the search was for on a personal level. But the water itself, as you know, only recharges at less than a half an inch a year in that area. I understand that under irrigated land it recharges faster than that, maybe an inch. But when it does recharge, it also carries a lot of the farm chemicals down into the water table with it, so that’s not necessarily a boon to the aquifer. A lot of the narrative in the book takes place 10 to 20 years ago when you move back to Kansas and you start learning more about these water issues. So I’m wondering what changes you’ve seen from that first dip into the water issues of the region until now. Julene Bair: Well, there is more cognizance now that there is a problem. I think we see that everywhere. There’s this heightened consciousness where even in Texas they are trying to figure out ways to limit extraction, and in Kansas we have the LEMA idea [to restrict water use], which has gotten a lot of attention. So there is some progress. [Kansas Governor Sam] Brownback is conscious of the water issue and is looking at a 50-year water plan. Dust jacket for The Ogallala Road, published by Viking Click image to enlarge. But I don’t think we’re doing nearly enough. From my point of view, were it not for the political hurdles you would have to leap over, it’s a pretty simple problem to solve really. And that is: give farmers money to conserve rather than to waste water growing crops that are totally ill-suited for the region, like irrigated corn. We subsidize withdrawals from the aquifer primarily now by crop insurance, by giving farmers money to grow corn. We’re still doing it – though we don’t call it direct payment anymore – but we’re insuring those crops whether they’re grown on dry land or irrigated land and we’re subsidizing the premiums. So if we’re willing to spend that kind of taxpayer money helping farmers, let’s also help the environment. Let’s preserve the water that’s there, let’s give them money to go back to dryland production or to retire their water rights. What do you think is missing in public debate about these types of issues? Julene Bair: I think the conversation needs to be deeper. We need to recognize that we’re talking about the survival of a landscape and an ecosystem. Nobody ever talks about the ecosystem. When you fly over the plains there are all those circle-irrigated fields and whenever there is an article about the aquifer we see those pictures, but no one seems to lament the fact that those were once grasslands, self-sustaining grasslands not only supporting wildlife but sequestering carbon. It was a system that worked and it was beautiful. Nobody seems to lament the fact that the beauty has been destroyed. And I see a direct relationship between what is beautiful and what is sustainable. And the water was flowing to the surface. There used to be what was called a Ladder of Rivers going all the way from the northern plains to the southern plains that made possible migration and camping and hunting for native populations going all the way back to the last Ice Age. Nobody seems worried that we dried up those creeks and rivers or wants to consider what that might mean. It’s made it worse than a desert, really, because deserts have springs that flow. How does society get from here to there? Julene Bair: My little part in it is to heighten consciousness about it so that we can change the conversation a bit – just look at the idiocy of the farm program and the ethanol mandate – and try to exert some pressure on legislators. My father always said that Big Daddy, and by Big Daddy he meant the government, would step in and stop irrigation or slow it down before it was too late. And he had reason to believe that would happen because the government used to be stronger on the regulatory front. He had conservation policies he had to follow to get his farm program payments. But Big Daddy never did step in, and Big Daddy became weakened by this pitched battle we have going on between those who would like to protect business interests and the right of business to make profits no matter the expense to the public good. Those interests have become stronger and so it’s much more difficult now. But I think if people began thinking of that water as belonging to them and realize that it is – in most cases it belongs to the state and not the farmers – then I think some changes could be made. Farmers say, “The world has to eat. We need irrigated agriculture.” Well, I’m sure we do in many places, but we have to be discerning about what we choose to grow and how much water it demands. Also we have to think about where that corn is going. I mean 40 percent of it almost, 38 percent actually, is going to livestock feed, and we lose a lot of the protein when we process it through livestock. You earlier equated beauty with sustainability. I don’t think a lot of people would equate the plains with beauty. I guess people on the coasts and people who have never lived there. Is it a problem that the plains are seen as a production zone for agriculture? Is there a change in how the plains are perceived that needs to happen? Julene Bair: Yes, I think so. Even by the people who live on the plains. I think our sense of that beauty was unconscious, but I do think we thought the plains were beautiful – the people who grew up in my generation and the people who were raising me. We all thought the plains were beautiful but we didn’t specifically talk about it that much. It’s just that they became the foundation of our aesthetics. I mean, we’re the kind of people who like to see far. We like our colors to be subtle, not bright green. We love trees, but we don’t want to look out and not be able to see beyond our yard. We love our sunlight. We’re very sun-dependent people. I think we just took that into our sensibilities and never really became conscious that that was forming everything about us, making us who we were. Also dryland agriculture – it dictated what we did every day of our lives, especially the people who worked on the land. They had to preserve the moisture in the soil. That’s what their entire occupation was about. And they did it successfully. It was what Walter Prescott Webb called “the science of farming where rainfall is deficient.” It was really an art as well. So it was very strange when I went back in the mid 1980s and discovered the extent to which we’d become an irrigated farm and saw that we weren’t even subservient to the same climate limits that had made us who we were.